"Highly recommend Dr. Berlin for any and all skin concerns." "Dr. Berlin and his team make for an awesome experience." "The staff was wonderful and the spa was amazing. I would definitely return." "Dr. Berlin is an excellent dermatologist!" "I would highly recommend him to anyone looking for an experienced dermatologist." Dr. Berlin accepts most insurance plans, including Medicare. Improvements are seldom this immediate. Now you can eliminate varicose veins with a 45-minute laser procedure called VenaCure EVLT laser treatment. It requires no general anesthesia or hospitalization, meaning no painful surgery or downtime. 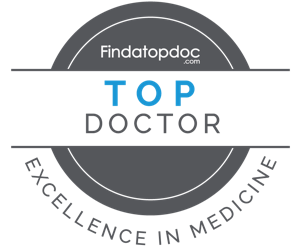 Dr. Berlin has been awarded TopDoc 2017.